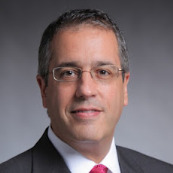 As a leading New York Gastroenterologist, Dr. Anthony Starpoli manages the spectrum of gastrointestinal disorders. He is triple board-certified in Internal Medicine, Gastroenterology and Obesity Medicine. Dr. Starpoli is affiliated with Lenox Hill Hospital-Northwell Health, Mt. Sinai - Beth Israel Medical Center, and NYU Langone Medical Center. Dr. Starpoli has a focus in the incisionless, endoscopic treatment of reflux disease (GERD) and obesity. Dr. Starpoli places stomach balloons for weight loss and performs endoscopic suturing for revising gastric bypass surgery and for stomach size reduction known as sleeve gastroplasty. As past President of the New York Society for Gastrointestinal Endoscopy (NYSGE), he participates in various educational and research activities. Aided by his extensive experience, Dr. Starpoli and his caring staff are totally dedicated to delivering quality patient care. Whether for routine care such as colon cancer screening with colonoscopy or for the assessment and management of complex reflux disease, Dr. Starpoli may be the right physician for you or your loved ones. Click here to view a note from this GI Doctor. © 2018 AA Starpoli, MD | This site is for informational purposes only. Always consult with your doctor before proceeding.